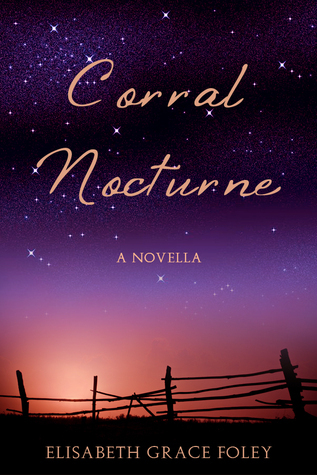 The Inkpen Authoress: Happy Birthday, Corral Nocturne! Life on her brother’s ranch is lonely for Ellie Strickland. Ed’s ungracious manners and tight-fisted habits keep visitors away and his mother and sister close to home. But when Cole Newcomb, son of the wealthiest rancher in the county, meets Ellie by chance, he is struck by an unexpected impulse to rescue her from her solitude—and Ellie’s lonely summer is transformed. When Cole asks her to go with him to the Fourth of July dance, Ellie is determined that nothing, from an old dress to Ed’s sour temper, will stand in her way. By the time the Fourth of July fireworks go off at midnight, will they herald only more heartache, or maybe—just maybe—a dream come true? Elisabeth Grace Foley is a historical fiction author, avid reader and lifelong history buff. Her first published story, "Disturbing the Peace," was an honorable mention in the first annual Rope and Wire Western short story competition, and is now collected with six others in her debut short story collection, The Ranch Next Door and Other Stories. Her other works include a series of short historical mysteries, the Mrs. Meade Mysteries; and short fiction set during the American Civil War and the Great Depression. A homeschool graduate, she chose not to attend college in order to pursue self-education and her writing career. Tra-la! Four days till Anon, Sir, Anon. And guys, by tonight you will be able to pre-order the e-book on Amazon. It's coming. The pre-orders would have been open last night but I stupidly uploaded the watermarked version of the cover. Snap-crackle-pop and so forth. oh my goodness, this sounds so good!